Stayed in the remarkable Pilsen neighbourhood in Chicago’s Lower West Side. The people of Pilsen have transformed their community with huge and dynamic mural installations. 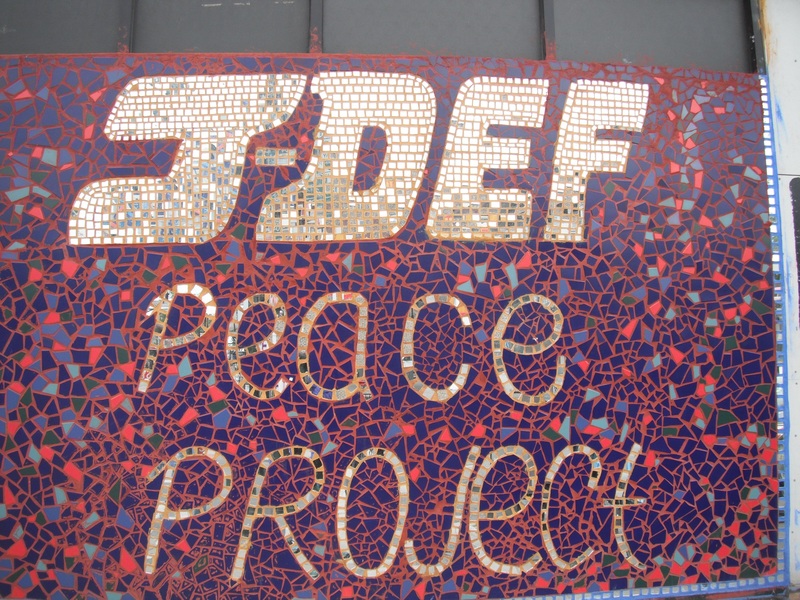 This J-DEF Peace Project 3-part mosaic mural was created by Chicago teens to honour Jeff Moldonado Jr., an innocent victim of gang violence. Jeff, also known as hip hop artist J-Def, tragically lost his life at 19 years of age. He sought to bring peace to his neighbourhood through his music. Check out the J-Def Peace Project website at http://thejdefpeaceproject.weebly.com and The J-DEF Peace Project Facebook page. 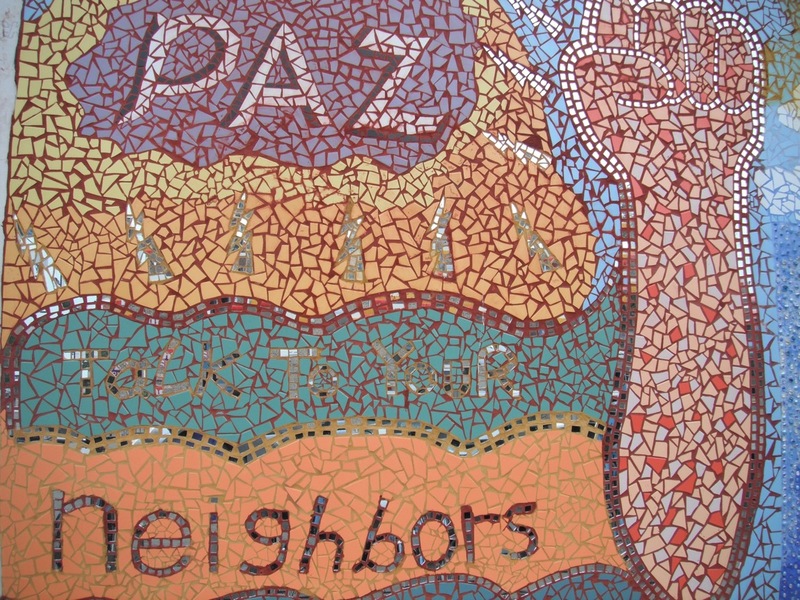 A very powerful way to inspire us (children and adults alike) to nurture peace in our neighbourhoods!